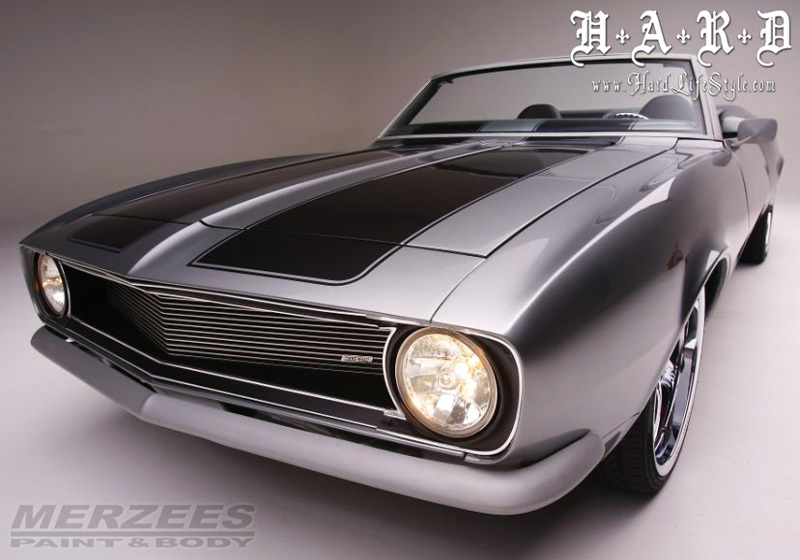 This clean custom 1968 Chevrolet Camaro was made by Jeff Mersey from Hard Lifestyle for Brock Weld. Handles were shaved and some panels molded in to look flawless. 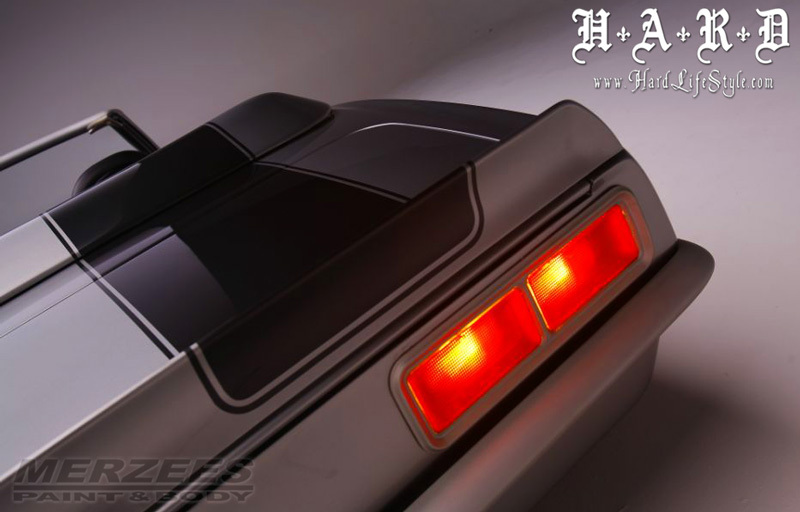 This Camaro has custom taillights, custom taillight frames. The fuel cap was relocated into trunk. The body color is GM Light spiral grey, stripes – same but dark grey. 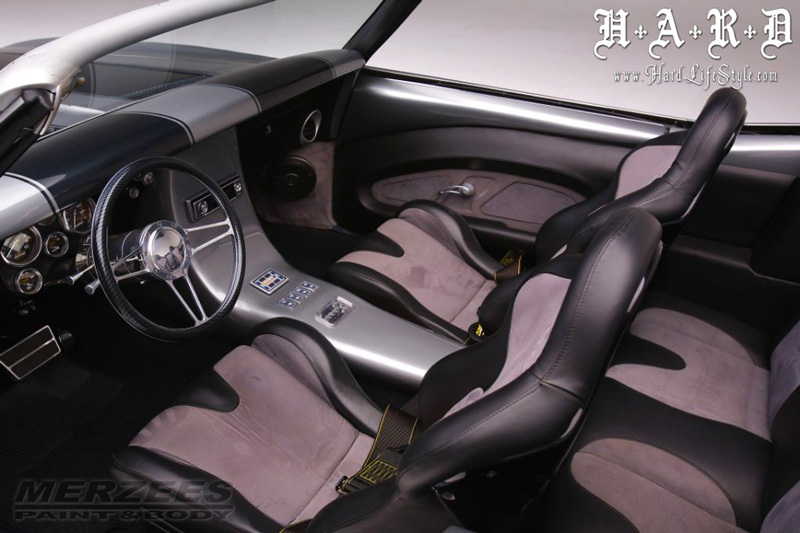 It also has custom interior with many custom features: new dashboard and center console, power windows and convertible top, Cobra seats and cool audio system. Chevrolet ZZ4 350 cubic engine is fitted under the hood of this custom 1968 Camaro. 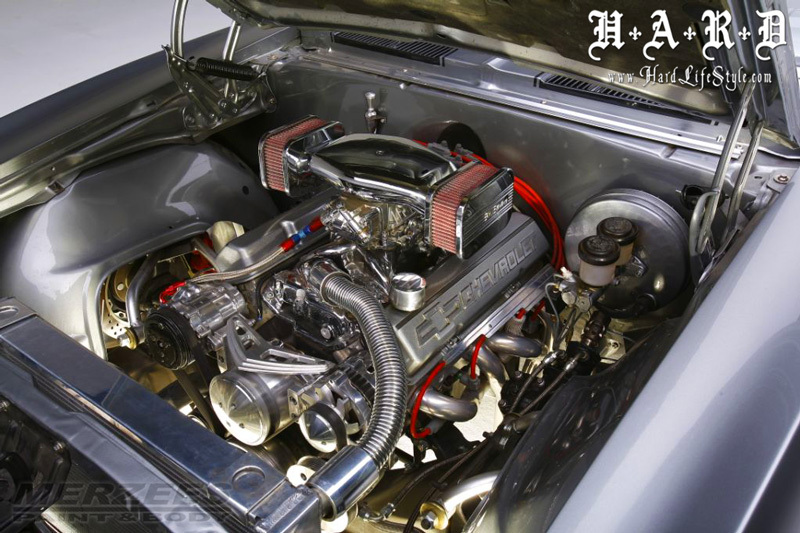 The engine is equipped with Edelbrock Intake, Holley 750 carburetor, dual exhaust, etc. 700R4 Jet performance transmission is matted to powertrain. The suspension is air-ride with 20 inch rims in both ends.